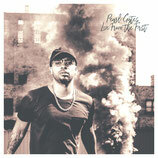 “Live From The First”, the debut album by Pearl Gates is a sonic evolutionary process, chronicling his journey from the streets to the rap game. The stage is set in the trenches and as it gradually shifts to a more elevated space and state of consciousness, the common thread revealing itself throughout the process is growth. The music is engaging; from gritty and ruthless sounds on “Rocks Right Now” to a virtuous and energizing vibe on “Elevate”, Gates delivers a welcoming, well balanced musical experience. 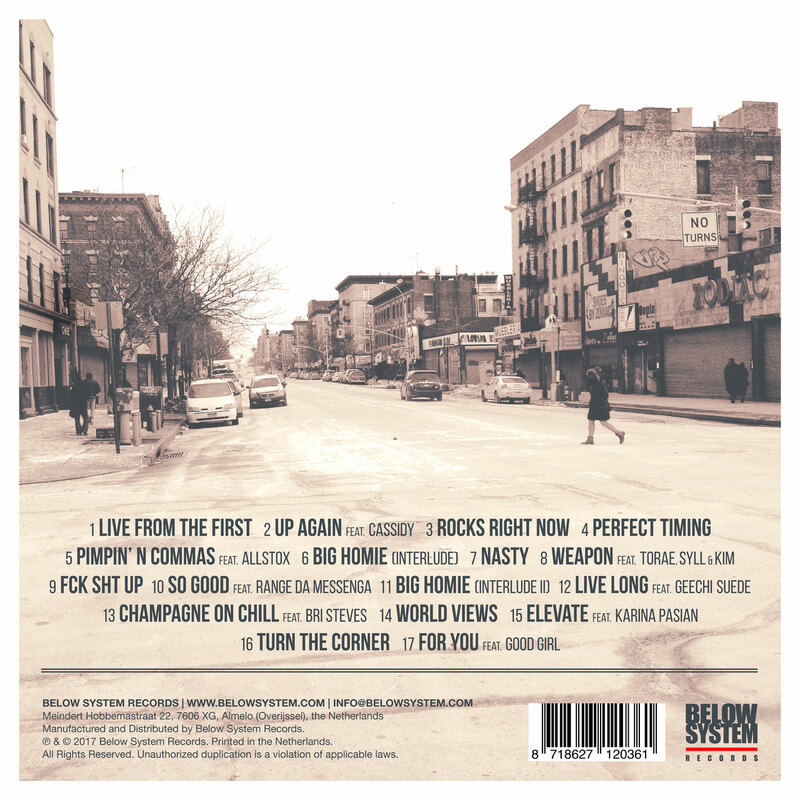 “Live From The First” is brash, honest, thought provoking and highly conceptual while providing insight on everyday life in one of NYC's more bustling and enterprising communities, Washington Heights. 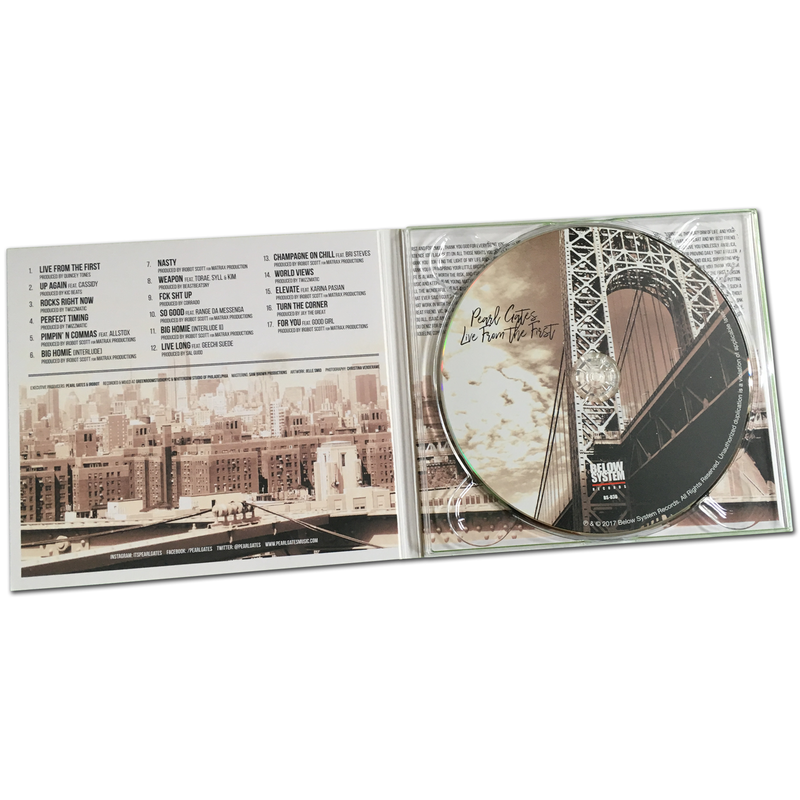 The first in the album title refers to the nick-name for 181st street in upper Manhattan where Pearl Gates comes from. “Most of the tracks on the album revolve around stories and experiences from the block” he reveals. That doesn’t necessarily mean all of the stories are about street life however. Gates, who is also an accomplished singer, also manages to incorporate his soulful hooks into the songs without sacrificing the Hip-Hop elements of each track. Gates says “my father was a singer and I inherited his talent of perfect pitch. I use it to flesh out my music but lately I’ve been asked to contribute hooks by Kool G Rap, Masta Ace, Wordsworth and other artists, which is flattering”. 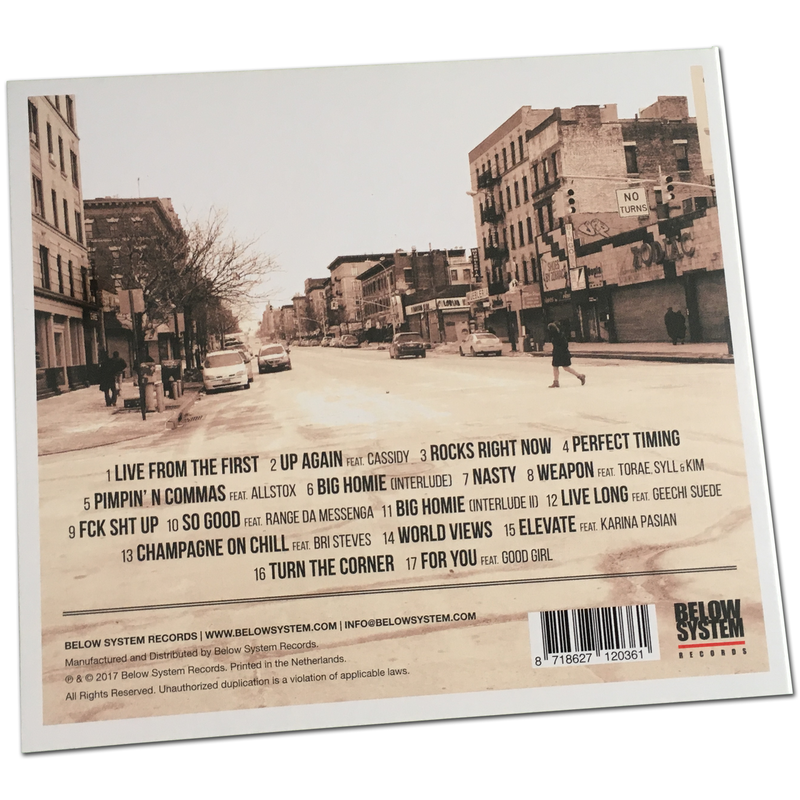 Some notable features who appear on “Live From The First” include Torae, Geechi Suede (of Camp Lo) and Cassidy. Speaking on the latter Pearl Gates revealed “I didn’t expect Cassidy to be on the album. We have a mutual friend who is a producer and one night he brought him through just to hang out. Cassidy heard the track and said, you want me to get on this? That was all love”. Other up and coming artists will appear on the album as well. In the last few years Pearl Gates has been making notable music and appearances. His "Diamond Mind" EP (2015) was praised by media outlets including The Source, HipHopDX, 2DopeBoyz and Respect Magazine. 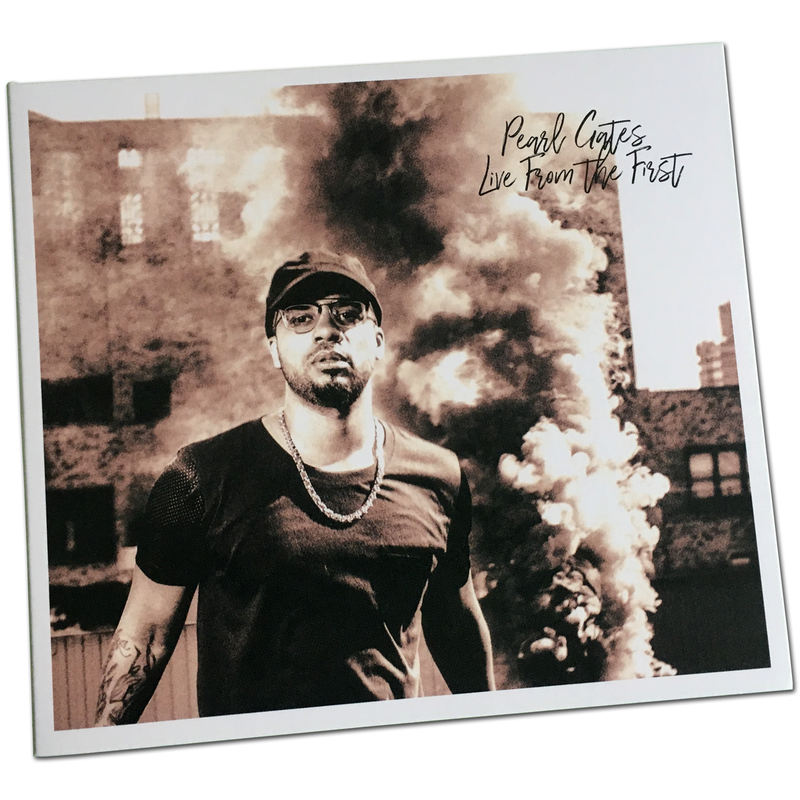 The "Play This" EP (2016) with fellow Washington Heights rapper Syll also received likes from media and DJs/radio shows including DJ Premier and Drake’s OVO Sound Radio. Gates also completed tours of Europe and North America with eMC and PRhyme.